One of the sixties most significant chroniclers, Lewis Morley is most known for his portraits of the celebrities and rising stars from this restless and radical period, such as his iconic image of Christine Keeler seated naked on a fake Arne Jacobsen chair. In a photographic career spanning some 50 years Morley's work has made important contributions to the genres of portraiture, theatre, reportage and fashion photography. Blending such definitions, Morley's keen and sensitive eye allows him to capture with spontaneity the moment before him, be it a glance, a gesture, or the unusual conjunctions that occur between people, objects, animals and places, regardless of the photographic assignment. Becoming seriously interested in photography in the 1950s, Lewis Morley finally dedicated himself to the medium following the first publication of his images, a six-page profile in 'Photography' magazine in 1957. Morley began his full-time freelance photography career in his early thirties in London, regularly undertaking reportage and portraiture work for magazines such as 'Tatler', 'Go! ', and 'She'. He was also heavily involved in theatre work, in London's West End. Photographing the actors in situ, un-posed and with available light, Morley created images possessed with a fresh dynamism befitting gritty English realist-drama. Lewis Morley's involvement with satirists Peter Cook and Dudley Moore, began around 1961, at which time he opened his studio above Cook's lively Soho nightclub The Establishment and was employed to photograph the 'Beyond the fringe' cast. Morley's studio location and growing reputation brought him into contact with a myriad of models, actors, musicians and writers and his photographs from this period are a fascinating insight into faces and personalities of Swinging London. Immigrating to Australia in 1971, Morley found extensive colour magazine work, collaborating with stylist Babette Hayes, whilst continuing his fashion photography working for the publications 'Pol' and 'Dolly'. In 1987 Morley closed his photographic studio, releasing his autobiography 'Black and White Lies' in 1992. The first retrospective of Morley's work was held at the National Portrait Galley, London in 1989. 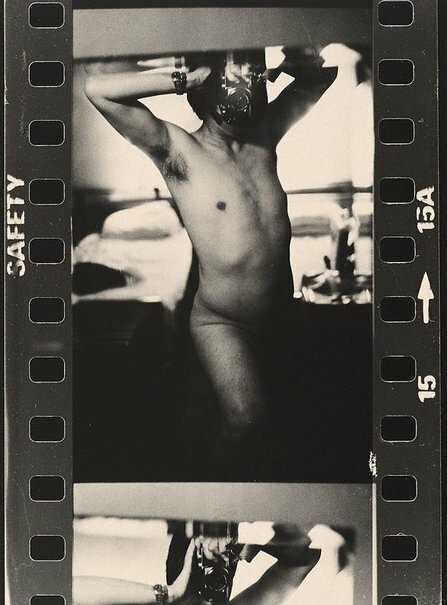 Other retrospectives, concentrating on various dimensions of his life's work have followed including 'Right Time, Right Place' (State Library of New South Wales, 1993), 'Myself and Eye' (National Portrait Gallery, Canberra, 2003) and most recently 'Lewis Morley' (Art Gallery of New South Wales, 2006). Judy Annear, Lewis Morley , Sydney, 2006, 28 (illus. ).